Advanced (AP) Art History, updated for current AP curriculum requirements (see table of contents posted below), is a finishing course for many high school students, bringing together math, science, social studies, English and foreign language that spans the school curriculum. The course encourages students to observe objects closely, not only for their aesthetic beauty, but also for what the object reveals about the society, time and culture that produced it. To this end, the student brings with him or her all their travel experiences, cultural background, and knowledge of literature and history to bear on each pertinent object. This synthesis is one of the strengths of teaching a course like this: everyone in the class has something personal to contribute, to explain, to interpret. 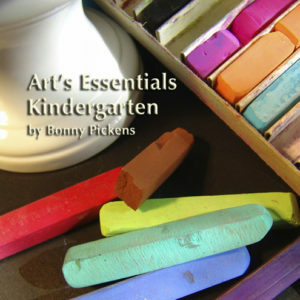 Students are taught that art analysis is the key to understanding the function works of art play in society. Besides the traditional formal analysis usually taught in art history classes, students will be exposed to new interpretations based on such subjects as context, biographical criticism, and cross-cultural influences. Disciplines such as archeology, curatorship and restoration will be explored as they impact on art historical thought. Students in art history need to know a great many facts about works of art, but equally important they learn to interpret, understand and analyze works that have been considered, or will one day be considered, classics. Teaching art history has its dangers for the teacher: at times it seems like a mass of facts, civilizations, artists and cultures. 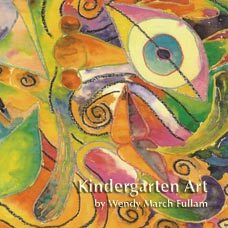 The class notes, daily lesson plans, pacing guide and worksheets help to organize all the essential avenues of study, as well as provide activities that clarify artistic trends and expand student horizons. Reaching beyond the likes and dislikes of a student’s taste, an art history teacher knows he or she has found success when a student displays the ability to synthesize artistic currents into a valid interpretation. The common experience of all advanced art history teachers and perhaps the benchmark of success is a student’s post card, delivered years later to the school mailbox that reads something like this: “I am standing here in front of the Colosseum in Rome, and I was reminded of your class. 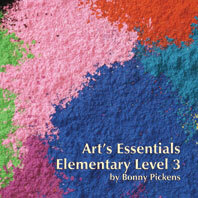 I just want to tell you how much…” Advanced Art History is an experience that lasts a student’s lifetime. Advanced Art History is the best handbook in print for beginning and experienced AP teachers looking for practical help and high-quality classroom materials. John Nici’s publication includes syllabi, a pacing guide, daily lesson plans, class notes, assessments (with keys), a student activities workbook, state standards, and excellent practical advice . 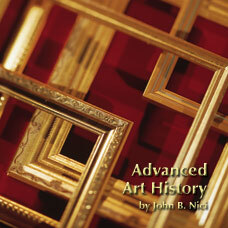 . . this book is the best handbook on which to build an AP Art History course that I have ever read, and I have read most of those published. There is no other such handbook in any medium currently in print that can be described as even remotely competitive with Advanced Art History. – Joy Sperling, Chief Reader-designate for AP Art History for the College Board. Advanced (AP) Art History, updated for current AP curriculum requirements (see table of contents posted below), is a finishing course for many high school students, bringing together math, science, social studies, English and foreign language that spans the school curriculum. The course encourages students to observe objects closely, not only for their aesthetic beauty, but also for what the object reveals about the society, time and culture that produced it. To this end, the student brings with him or her all their travel experiences, cultural background, and knowledge of literature and history to bear on each pertinent object. This synthesis is one of the strengths of teaching a course like this: everyone in the class has something personal to contribute, to explain, to interpret. 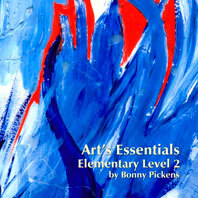 Students are taught that art analysis is the key to understanding the function works of art play in society. 859/ISBN: 978-1-59657-714-5, 859/ISBN: 978-1-59657-225-6, Class Set CD/ISBN: 978-1-59657-715-2, 288/ISBN: 978-1-59657-460-1, 288/ISBN: 978-1-59657-226-3, No page count.No ISBN number. Use product code.